There would be hardly anyone who does not dream of going to some faraway place to study. Most of us love to explore new places, people, religion, culture and tradition. We can fulfill our dream of going to some other country like Russia for higher education. If we want to do something good in life, then working hard for it is must, as nothing can be achieved without the hard work. You can study in best of the universities of Russia like Rostov State Medical University. It is the best medical university as it helps the children in becoming dedicated doctors who will always think about their duty before their own selves. 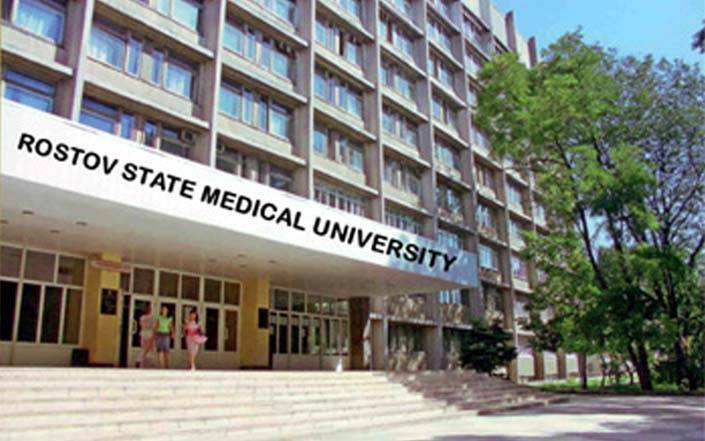 Why you should study at Rostov State Medical University? It is a public university which offers quality higher professional education to the students. It also imparts education on social medicine and ministry of health. The university is also popular by some other names like Rostov State Government Medical University. It started back in year 1915. It was initially started as an institute, later in the year 1930; it got transformed into a medical institute which gave rise to the present day university. It has proven to be one of the oldest higher professional education universities in Russia. It completed its 75 years of imparting quality education in year 2005. It has trained more than 30,000 doctors. It will be a wonderful experience to study in this university, as they have highly experienced and trained faculties. The way these professors conduct the classes is very different and unique. The interactive practical training you get here helps you throughout the life. There so many renowned scientists who have become so famous because they studied from this university. You also get hostel accommodation facility at Rostov State Medical University. There are well maintained hostels for both foreign and faraway students. They are given homely environment in there, so that they may not miss their home. The rooms are well-furnished with all the basic facilities like Air-conditioner, heater, Television in the living room etc. Two-seater rooms are available in the hostels provided by this university. Students get all other facilities like library, sport complexes, gym and study areas while their stay in the hostel. The hostel present in the university can accommodate up to 2500 students. The hostel is common for both the foreign students and distance students of Russia only. There is no partiality done among the students, no matter from which nation they belong everybody is treated equally. All the students love to come to Russia for higher studies due to its beautiful geographical location which they can explore while studying in best of the universities. There are many famous locations which are highly mesmerizing due their beauty. Most of the students love to travel in their holidays and go on excursions with their friends. They not only study well but also live a nice life.